782-10850V01 250-2700 MHz 50 Ohm DC Stop - Talley Inc.
DC Stop used in dual or multi-band antenna systems. 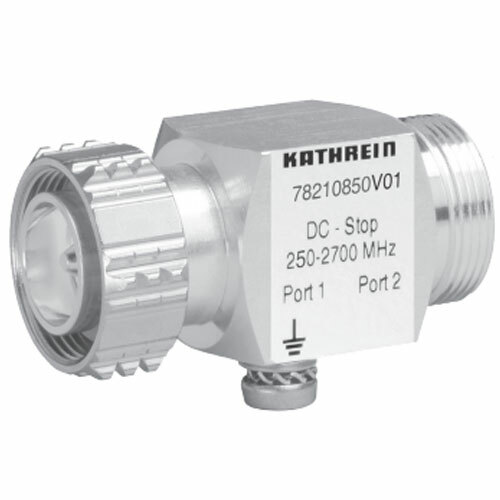 The DC Stop is used in dual or multi-band antenna systems where one or more antenna systems require a DC supply for an installed mast head amplifier. The DC Stop prevents DC voltage from being shorted within the nonbiased antenna system(s) and isolates the corresponding base station output(s) from DC voltage.